So what is Preview Text? Emails sitting in an inbox include the sender, the headline of the email, the date, as well as a little bit of text from the email on the right or under the email. Preview text is limited to 140 characters. Preview Text has one goal - to capture the readers' attention, thereby increasing the number of people who open your email and give it a read. An email without preview text, preview texts containing URL links, or just random words are often directly ignored as users might not directly understand what the actual email is about. 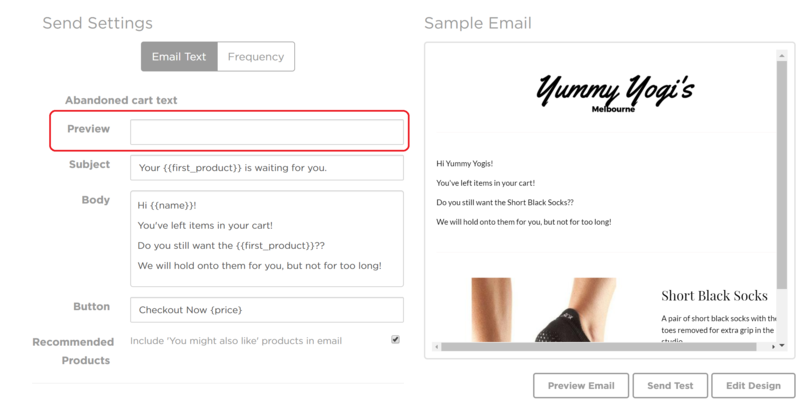 Preview text is usually pulled from the first few lines of an email, but with SmartrMail, you can directly customise your preview text without needing any CSS hacks or changing the design or body of your email. Just type whatever you'd like to have for your preview text and Voila! What does bad Preview Text look like? Preview text is pulled from the first few lines of an email, which means that how these first few lines are constructed is critical - but most people end up wasting these first few words on something that might send the wrong message! Combined with the tens of other emails crying for the readers attention, it's unlikely that they'd choose to take the time to open the email - even if the content within is stellar, personalized, and carefully crafted. Now that we know what a bad preview text looks like (and what it can do), lets take a look at what our experts have said. Some emails contain only images and not text - this leads to an empty preview text, and nothing screams irrelevant more than zero text in an email! Links to view in the browser, email addresses, phone numbers, links to share, and street addresses, while important, don't have to be in the preview text - we want them to first be willing to open the email before they give us a call right? At the end of the day, most people who scan through their inbox look at three things - the sender, headline, and the preview text. If you ignore the preview text, you are missing one of these three components (worse, making it into an actual liability), which will directly hurt your email marketing initiatives. If you'd like to read more about it, check out Litmus's article.